A new international trailer for Zombieland-director Ruben Fleischer’s Gangster Squad has gone online. While it’s a shorter, tighter cut of the previously released trailer, the new version does feature a few seconds of new footage. 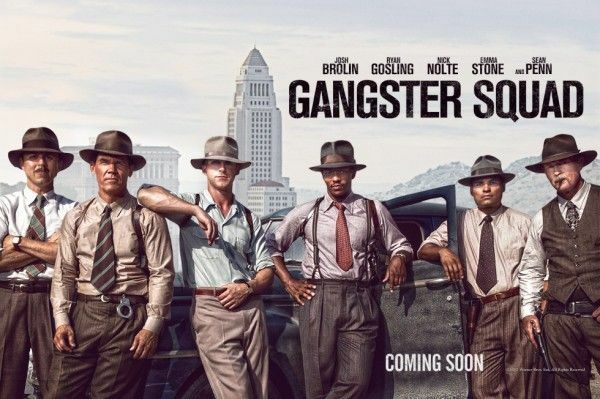 Sean Penn stars as Mickey Cohen, a New York gangster who takes his criminal enterprise to Los Angeles. Standing in his way are Sgt. John O’Mara (Josh Brolin) and Jerry Wooters (Ryan Gosling), who are tasked with disrupting Cohen’s stranglehold under the orders of Bill Parker (Nick Nolte). Gangster Squad also stars Emma Stone, Giovanni Ribisi, Anthony Mackie, Mireille Enos, Frank Grillo and Michael Pena. The film opens September 7th. Hit the jump to check out the new trailer.